As a general rule, the less processed a food is and the more “whole” it is the better. Food products are becoming pretty ubiquitous these days, as the food industry combines more and more things to create food like substances that keep up with changing trends and food fads. One of the most recent and widely used are a family of substances that serve as binding and thickening agents. Carrageenan, guar gum, xantham gum (and others) are infiltrating foods everywhere around us, making food more viscous, stabilizing different ingredients, thickening things and binding stuff together. On the surface they sound pretty handy but unfortunately it seems these extracted substances are irritating bodies in the process. There is growing concern over the use of these gums in foods and for just reason. Specifically, research has been focusing on the potential damaging properties of carrageenan on the digestive tract. In general, these substances may be irritating to the intestines and cause a number of problems, including stomach upset, problems digesting or absorbing nutrients and compromising intestinal barrier stability. Anything that messes with the intestine is a bad thing and should be looked at critically. Many people have ignored the concerns over these gums, stating their natural/organic origins (e.g. carrageenan is derived from seaweed) and the lack of “research” proving their harm. As many of you know, this isn’t good enough in people’s health. Any new food has the burden of proof of innocence. It needs to be used for quite some time before it gets anything resembling a free pass. Things that are used heavily by the food industry to create foods that couldn’t be created without them are also very suspect to me. Add in the growing number of people experiencing problems with these gumming agents and I think we need to proceed with caution. Maybe these substances will prove to be perfectly safe but until the case is closed I would rather stay away from them. Staying away from food products with gums in them is likely in your best interest. Since only food products might contain them, they aren’t too difficult to avoid if you’re focusing on real, whole foods as the base of your diet. Do watch out for them as they are hidden in almost everything these days, including things you wouldn’t expect. Thanks for reading, have a great gum free day. Previous Why Are We Fat? 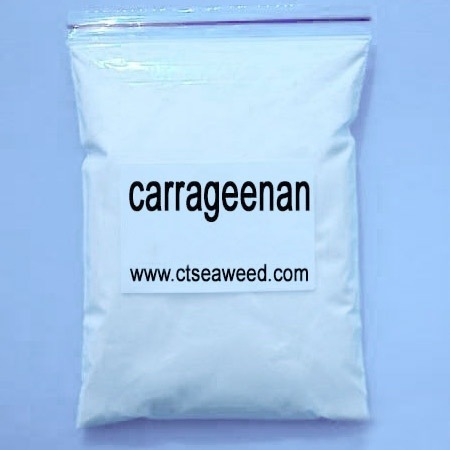 Debbie, thanks for the extensive link, it is much of the same information I came across when looking at carrageenan. Unfortunately I still don’t believe it to be a smart substance to consume. Anytime you extract something out of a substance, whether its naturally occurring or not, gives me pause. In seaweed I think it has a place. Used in Half & Half, yogurt, and other food products is where I think it’s out of place. Saying it’s not a problem is fine but I still want people to consider not consuming it. Thanks Melissa- it did strike me as a very automatic, generic and unproductive response but maybe that makes sense… Goes to show you why checking the source behind food safety claims might be a fruitful activity, particularly when they are used to defend the innocence of something on the newer, industrial side of the food supply.